A 70-year-old man was so fed up with his wife and decided jail would be better than living at home. 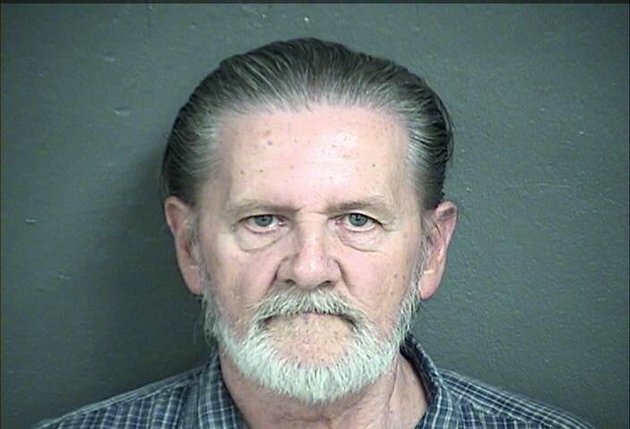 According to court documents, Lawrence John Ripple walked into a Kansas City bank Sept. 2, handed a teller a note saying he had a gun and demanded money. “I have a gun, give me your cash,” and was given $2,924 in currency from the drawer. Ripple took the $2,924 he was given and sat down in the bank lobby, telling a security guard he was the guy he was looking for and he wasn't there for the money, the Kansas City reports.. The guard took Ripple into custody and retrieved the $2,924. When arrested,Ripple said he and his wife recently had an argument, he wrote his demand note in front of her and said "he’d rather be in jail than at home," Ripple then walked to the bank and robbed it.”The bank he "robbed" was about a block from a police station. While he spent a little time behind bars, his plan unraveled Wednesday, when a judge released him from jail.